A former senior FIFA official, Chuck Blazer, claimed he and others took bribes in exchange for supporting World Cup candidate countries in 1998 and 2010, an unsealed paper says. South Africa has denied paying any bribes. French reaction is pending. The 40-page transcript of a secret court session was published online on Wednesday, revealing more details surrounding Blazer’s 2013 guilty plea to charges of corruption, racketeering and money laundering. “Among other things, I agreed with other persons in or around 1992 to facilitate the acceptance of a bribe in conjunction with the selection of the host nation for the 1998 World Cup,” Blazer told US District Judge Raymond Dearie during a hearing in New York in November 2013. The 1998 World Cup was eventually hosted by France and the 2010 Cup by South Africa. 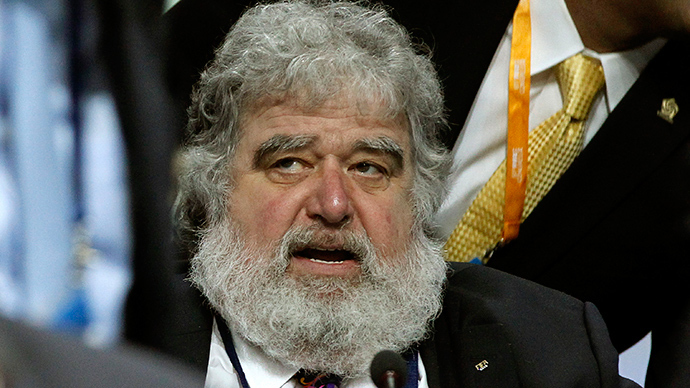 BBC News - Fifa crisis: Ex-official Chuck Blazer details bribe-taking http://t.co/rmYa8ZwcQs ZZZZZZZZZZZZZ where is the ACTUAL news here? It was also revealed that South African Football Association president Molefi Oliphant allegedly asked FIFA secretary general Jerome Valcke in 2008 to withhold $10 million from the 2010 World Cup budget to find a ‘Diaspora Legacy Programme’ under the control of then-CONCACAF President Jack Warner. Reacting to the news, South African Sports Minister Fikile Mbalula denied that the money was paid as a bribe, stating it was an “above-board payment” to develop the game in the Caribbean region. “We are not in defensive mode...[but] we have a responsibility to defend the legacy of the World Cup...and our country’s reputation,” he told journalists. Blazer was facing up to 20 years in prison before agreeing to cooperate with the authorities. The cooperation involved the use of recording devices to aid the investigation. Blazer’s testimony helped to uncover a corruption scandal within FIFA, eventually leading to 14 other indictments of officials and businessmen. The news comes a day after FIFA’s long-time president Sepp Blatter announced his resignation and called a special congress to elect a successor just days after he was re-elected. The timing of the string of revelations on the corruption scandal – which has been going on for years behind the scenes – has been questioned by experts in geopolitics. This, and Blatter’s sudden resignation coincided with the stepped up pressure on FIFA in relation with the 2018 World Cup bid by Russia and Qatar’s 2022 bid. Reuters reported Thursday that the FBI is investigating the two countries’ bids, according to a source in US law enforcement. Geopolitical analyst Eric Draitser believes the scandal is directly tied to Washington’s confrontation with Moscow. “First and foremost, it needs to be understood that this issue is really not an issue of sports and in fact it’s not really an issue of corruption: this is a political issue, in fact a geopolitical issue. That is to say, it’s part of an ongoing propaganda campaign and, let’s call it, an asymmetrical war that the United States is waging against Russia in various theaters from Ukraine to now football and sports, and sanctions, and economic warfare of various kinds – I think it fits in this larger context,” Draitser told RT.